Strolling through the crowds, asking questions, collecting nouns, verbs and adjectives with the “Mad Libber”, dancing to the Paisley Pickles, choosing new names from “Still Life with Woodpecker” and taking a “Chance”…. it’s all a Dada Game. Day de Dada Performance Art Collective at “Arts on Division” an annual outdoor festival of the Arts in Downtown Somerville NJ. 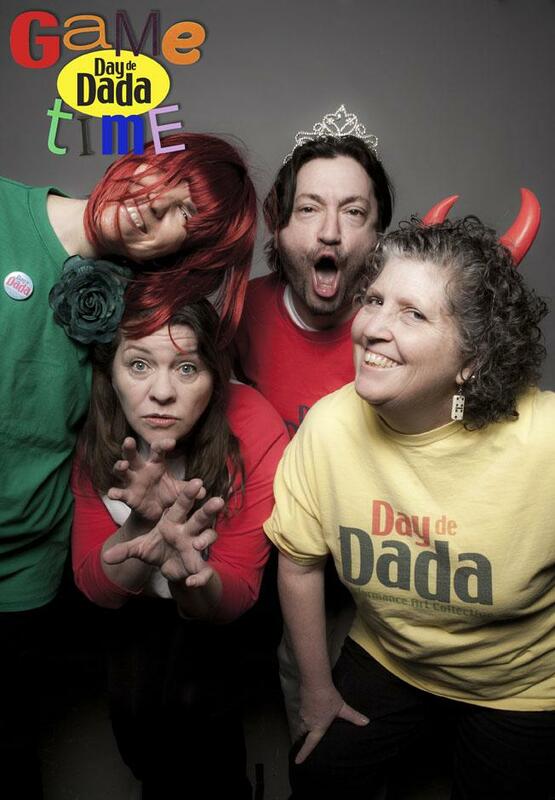 Dada performers had fun with “Game Time” a spontaneous and interactive art performance, using nonsense skills and chance, Ridicu-posterous word games, and procured poems. You are currently browsing the Day de Dada Blog and Performance Archives blog archives for June, 2013.